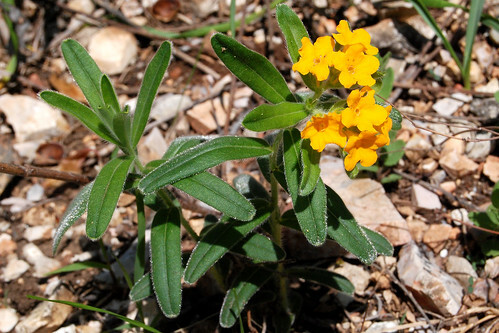 Hoary Puccoon, an orange wildflower common on Ozarks glades in the spring. 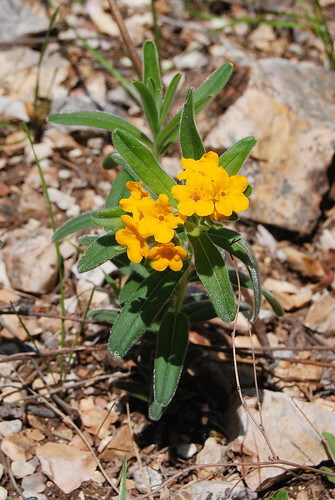 Hoary Puccoon is named for the hairy (hoary) leaf surface. You can see it glistening in the sun, giving the plant a hoary appearance.